Home / Arctic Monkeys / charts / Arctic Monkeys Claim 6th UK No. 1 Album With "Tranquility Base Hotel + Casino"
Arctic Monkeys Claim 6th UK No. 1 Album With "Tranquility Base Hotel + Casino"
Arctic Monkeys claim their 6th consecutive No. 1 Album in the UK with their latest album Traquility Base Hotel + Casino entering straight in at the top of the chart! The Sheffield band also claim the fastest-selling vinyl record of the last 25 years with 24,500 vinyl copies sold. Congratulations! Dropping to No. 2 we have The Greatest Showman OST knocking Post Malone's Beerbongs & Bentleys to No. 3! Os Arctic Monkeys estão de parabéns! 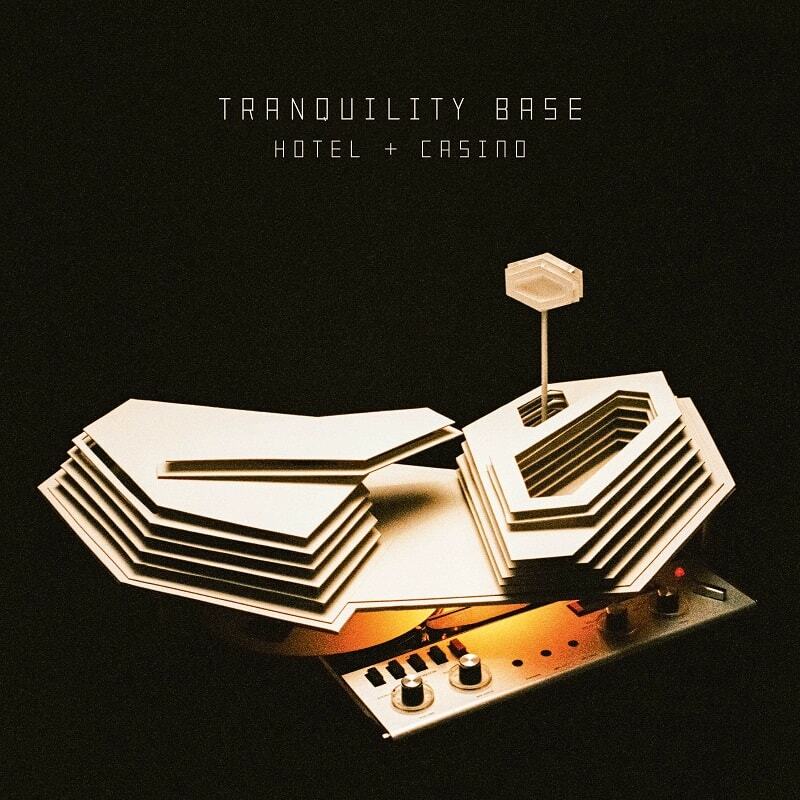 A banda de Sheffield conquista o álbum #1 no Reino Unido com Tranquility Base Hotel + Casino a entrar diretamente para o topo da tabela! Este é o sexto álbum consecutivo da banda a ocupar o #1 neste país! Parabéns! Eles batem um novo recorde com este álbum: ao vender 24,500 exemplares em vinyl Tranquility Base Hotel + Casino torna-se no álbum neste formato que mais vendeu nos últimos 25 anos no Reino Unido. Parabéns! A descer para o #2 temos a banda sonora de The Greatest Showman que consequentemente derrubou Beerbongs & Bentleys de Post Malone para o #3!